Few things can be more debilitating to a taxpayer than an IRS bank account levy and wage garnishment which can wreak havoc in one’s life. Whereas an IRS tax lien is a claim on the taxpayer’s property, the levy is the actual seizure of a taxpayer’s property. Meaning the IRS can take, aka levy, property that you own such as your car, boat, house, wages, retirement accounts, dividends, bank accounts, licenses, rental income, accounts receivables, the cash loan value of your life insurance, and commissions. Consequently, once a levy has been initiated, it is essential that you act quickly to stop the IRS’s collection of your property. A wage garnishment occurs when the IRS notifies your employer to withhold your paycheck in order to collect your past-due tax debt. 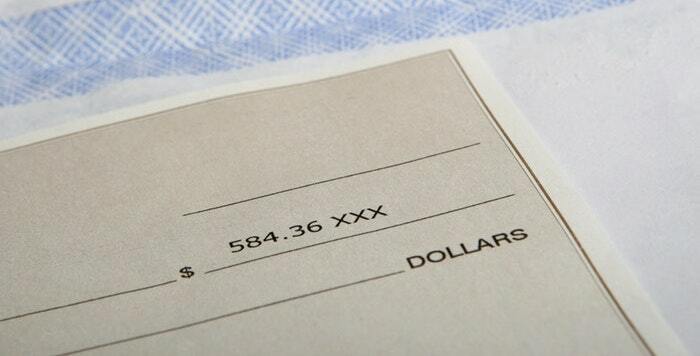 Your employer will then be legally bound to send a portion of EACH PAYCHECK to the IRS. In addition to a wage garnishment, the IRS has the ability to levy 15% of your monthly Social Security benefit payments to pay any delinquent taxes. An IRS bank levy is an order directing your depository to seize all the funds in your account and transfer them to the IRS. Upon receipt of the order, the bank holds the money in escrow for 21 days from the date of the levy. Upon the expiration of the 21 day period, the bank will send your money to the IRS. Or releasing the levy will facilitate the IRS’s collection of back taxes. The tax for which the liability relates has been paid or became unenforceable because the 10-year statute of limitations for collection has expired. Releasing the levy will facilitate collection. You have entered into a tax levy installment agreement and are compliant. The levy is creating an economic hardship because satisfying the levy would prevent you from paying basic living expenses such as food, clothing, shelter, and medical expenses. The fair market value of the property exceeds the liability for which the levy was made, and the release of the levy will not hinder collection of the liability. The taxpayer’s age, employment history, ability to earn, number of dependents, and status as a dependent of someone else. The amount reasonably necessary for food; clothing; housing (including utilities, insurance, homeowner dues, etc. ); medical expenses (including health insurance); transportation; federal, state, and local taxes; alimony, child support, or other court-ordered payments; and expenses necessary to the taxpayer’s production of income (such as union dues or child care payments). The cost of living in the geographic area in which the taxpayer resides. Any extraordinary circumstances, such as special education or medical expenses. The amount of property exempt from levy that is available to pay the taxpayer’s expenses. Any other factor that you claim bears on economic hardship. If you are able to show the IRS that the levy will do more harm than good, the levy should be released. Meaning, you must show that if the levy is not released the IRS will have a difficult time receiving the back taxes owed. 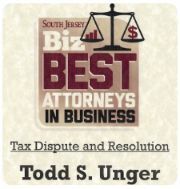 A tax attorney, like Todd Unger, can help protect your property. Tax Lawyers can help by reviewing your particular situation and utilizing the most current case law to win your case, and provide immediate relief of an IRS levy. Todd S. Unger, Esq., provides consultations to taxpayers facing audits and other federal tax controversy matters in both New Jersey and New York. To schedule your confidential consultation with a qualified New Jersey tax attorney, call us today at (877) 544-4743.